His real name is Gerald Earl Gillum. He is an American rapper, singer, songwriter and record producer. He was born May 24th 1989. He is from Oakland, California. He used to love songs and entertainments since he was a little boy. His stage name is G-Eazy. G-Eazy released his first major album entitled These Things happen on June 23rd 2014. This album includes hit songs - I Mean It and Tumblr Girls. It was number 3 on the US Billboard 200. He also released his second album on Dec 4th 2015. The album is called When It’s Dark Out. Many artists admired his unique performance. He has had some dates with Big Sean, Lil Wayne, and Drake among other popular pop stars. We can’t say much about this singer, but he is one of the rising pop singers who should be watched. Find out G-Eazy lyrics you love and enjoy! 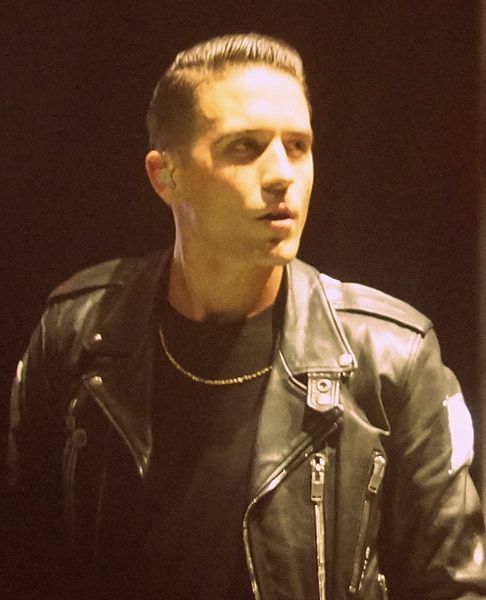 Why Does Hip Hop Hate G-Eazy? ● mc pat flynn something in t..
● hungarian dances by brahms n..
● why is it so impossible to l..
● el fantasma donde es origina..